red, but a happy red." 20 points to whoever can name the movie! But seriously, there really is nothing like a nice pop of red. 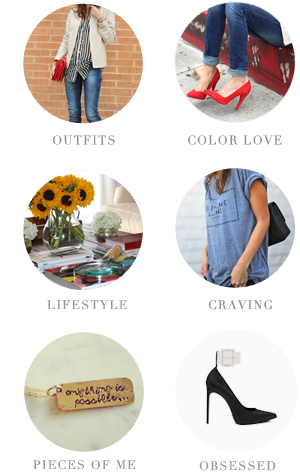 These are some of my favorite picks for this holiday! loving this board! 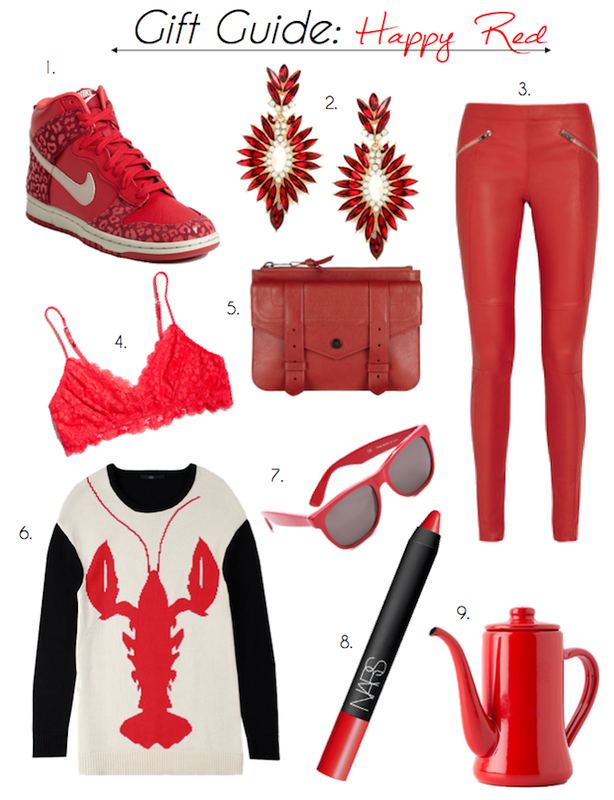 we are currently craving red too and these items are extremely crush worth. thanks for posting these. I live in those kind of bralets, and am seriously wanting that red now! Loving your picks especially the sweater and pants! when i saw the title up top that said "happy red" i said the whole quote to myself in my head! i didn't know if that was what you had meant, until i read at the bottom where you quote it too! hahaaa. i love the holiday, it is one of my favorites, it is just so darn quote-able and adorable and the music is unbelievable good!!! The Holiday! Love it so much. Those earrings are beautiful, and such a great price! Red is so cheerful and uplifting, and so perfect for the holidays! That sweater is so fun! That Tibi Lobster Sweater needs to be mine! It's so freakin adorable!!! Loving this red list!!! !